It will, however, be a “very brief” visit and could also be considered “more symbolic than anything else,” the archbishop said. The English-born archbishop, who studied in Tunisia and is a fluent Arabic speaker, was the president of the Pontifical Council for Interreligious Dialogue and subsequently the papal nuncio to Egypt. He knows the Middle East and the Islamic world well. America spoke to him in Rome, on the eve of the pope’s visit to the U.A.E. He sees “continuity” between the pope’s participation at the Al Azhar meeting in 2017 and in next Monday’s scheduled meeting with Muslim elders and in the interfaith meeting on “Human Fraternity.” He notes that Sheikh Tayeb has the leading role in both events and that Francis’ visit to the U.A.E. takes place on the 800th anniversary of the meeting of St. Francis and Sultan Kamil. Today the only Christians in the Arabian Peninsula are migrants, and the pope’s visit is a cause of great joy for them. The archbishop knows Abu Dhabi and the church community there reasonably well because he gave a retreat to the 65 priests of the southern vicariate (which includes the U.A.E., Oman and Yemen) in October 2016. All of the priests are not native to the U.A.E., though there are native Arabic speakers from places like Lebanon and Egypt among them. There are almost one million Catholics (mainly from the Philippines and India) in the U.A.E. All the priests and sisters are foreigners, though some may be Arab. Archbishop Fitzgerald said he was “amazed at the vitality and joy of this migrant church.” He noted that every week from Friday to Sunday there are 15 masses in English and as many more in other languages, including Arabic, Tagalog and French. “And the churches are full,” he said. 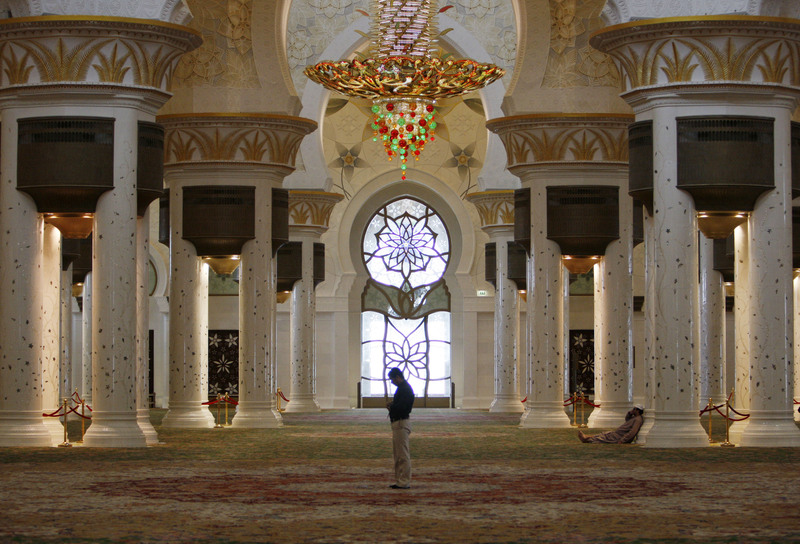 The archbishop highlighted the fact that “the emirs have provided lands for the building of churches in the emirates, not only for Catholics but also for other Christians.” He said Catholics and other Christians “are free to do whatever they want,” in terms of practicing their religion, within the church complex, which includes the church, the church offices, the presbytery and a shrine. There are limits of religious freedom. “You couldn’t go and say Mass for people in their homes,” he explained. Christian can, however, wear the cross in the U.A.E., and there are schools run by religious orders. Today, however, the only Christians in the peninsula are migrants, and the pope’s visit is a cause of great joy for them. Inasmuch as the current Pope is walking in the footsteps of his namesake, in a way, the outcome will be the same. The Muslim leader will not kill his visitor, some words of mutual regard and common human nature will be parroted and the outcome will be the same. The "Holy Books" of Islam will continue to instruct people to convert all or kill refusers just as happened after 1219, so it will be after 2019. The announcement was made from the Jesuit headquarters in Rome in a press communiqué released on Jan. 30. Arturo Sosa, S.J., the current Superior General of the Society, invited Jesuits around the world to participate in the opening session however possible. He said the pope’s vicar-general for the diocese of Rome, Cardinal Angelo De Donatis, will preside at the ceremony, which will be held at 4 p.m. To play the amazing game run 3, player have to run and jump to pass different levels of obstacles. People remember this game as a game everyone play at school. Good luck and have fun guys!